Another day in New York and there was much more exploring to be done. On the only really sunny day of the holiday, we decided to walk around Manhattan with my Mum’s friend Jess and her daughter Emma, both who know the city like the back of their hands. Starting off in the park Washington Square, we soaked up some April rays and people-watched as many chose to lunch al fresco in the park. 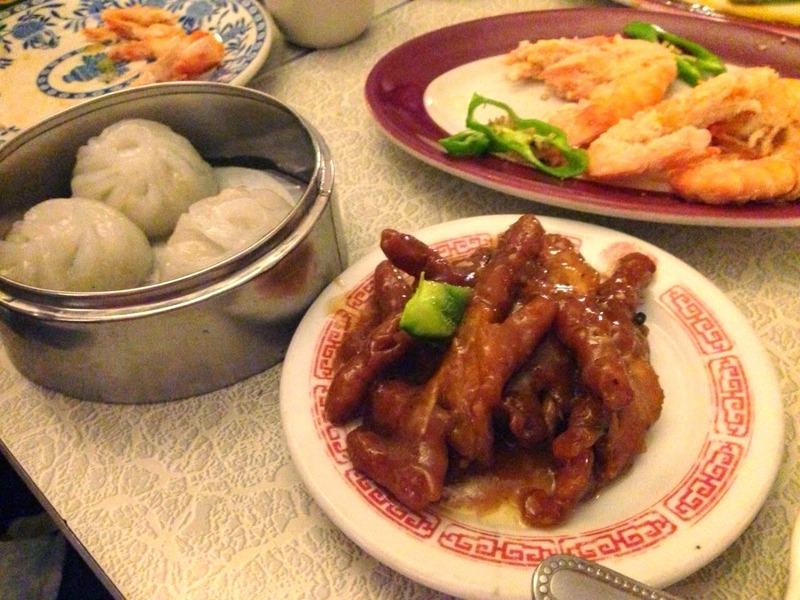 We, however, had our own lunch agenda, and headed off to Chinatown to Nom Wah Tea Parlour – New York city’s oldest dim sum house. Outside it doesn’t look like much, and you get the feeling it hasn’t seen much redecoration in its 95 years of existence. But that, along with the less than friendly wait staff, is all part of the charm of this Chinatown institution. Arriving hungry and excited to try as much as we could, we fired off the orders. 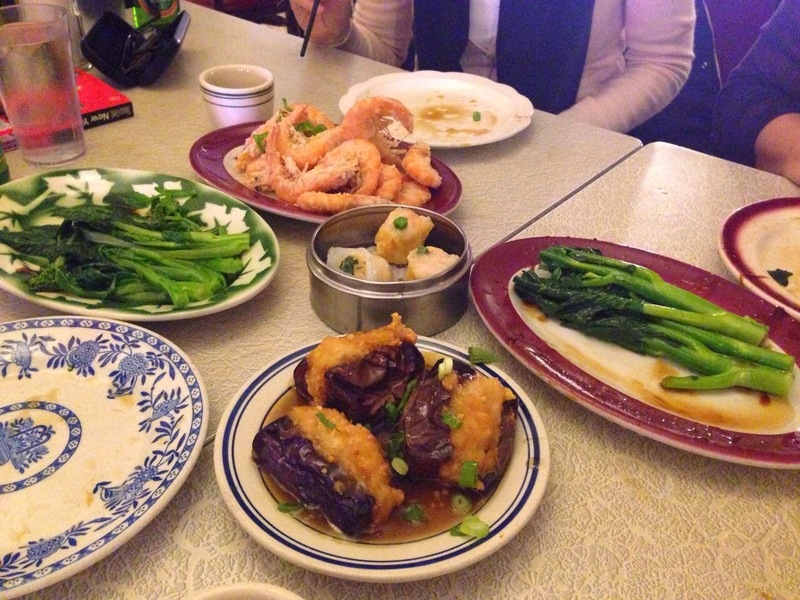 Dumplings were a must, and we opted for an array of fish, meat and veggie. The shrimp & snow pea dumplings were potentially my favorite, although they were all pretty damn tasty. The salt and pepper squid was another stand out dish for me. And no picking off the skin or head- I ate every part and loved it. One thing I liked less were the taro balls we had ordered, but more on taro later. 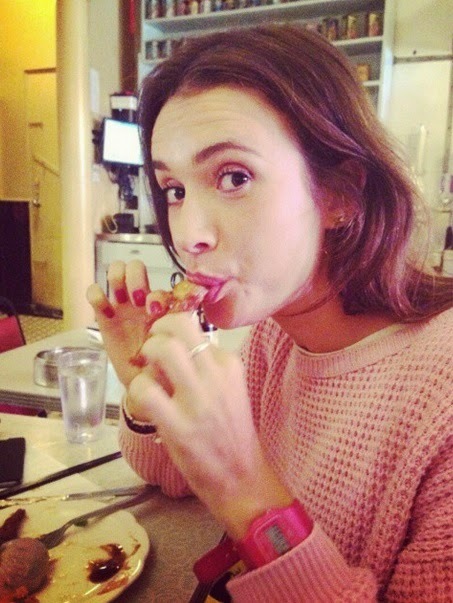 Being the offal lover I am, I ordered a portion of chicken feet for the table to share. Turned out they were just for me, as no one actually fancied giving them a go. It’s a shame, as my mum even said they smelt really good, but I think the idea of eating a chicken’s extremities isn’t for everyone. I, on the other hand, really enjoyed them – they came steamed in a black bean sauce and were delicious! This lunch was one of my favorite meals of the trip. The restaurant had a great atmosphere, and I liked that it wasn’t in the least bit fancy or pretentious, despite how highly praised it is. In the past I’ve never been keen on Chinese food, always winding up feeling quite ill after eating it. However now I have learnt the difference between a dodgy chicken chow mein from a chippie in Leeds and an authentic, traditional dim sum meal, I’ll be sure to eat it again. Not quite finished eating just yet, we glanced at the dessert options: fried sesame balls and some almond cookies. We passed this up, and headed to the traditional Chinese bakery Fay Da, which was recommended on one of my favorite websites, Serious Eats. Now the thing is…I already knew I didn’t like Chinese pastries. In my humble opinion, red bean curd has never seemed like an appealing filling for cakes or pastries. 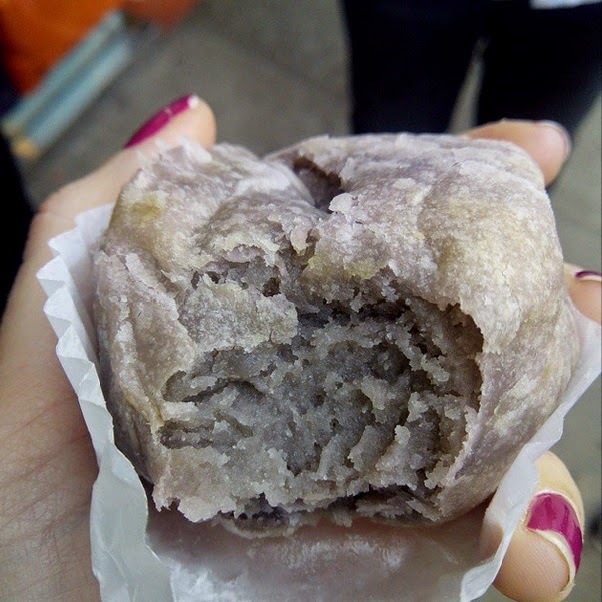 I’m also not so keen on taro, the root vegetable which was in my pork dumpling at lunch, and also seems to worm its way into a lot of Chinese sweets.Therefore why I would feel enticed to buy myself a taro puff, which is just sweet taro puree in a flaky puff pastry casing, is a good question. It is also, perhaps, unsurprising that I did not like it. It’s just not a cake as I know it. I’m not quite sure what it is. Good to have tried it, but I think next time I’ll just order an extra dim sum and skip the sweet. 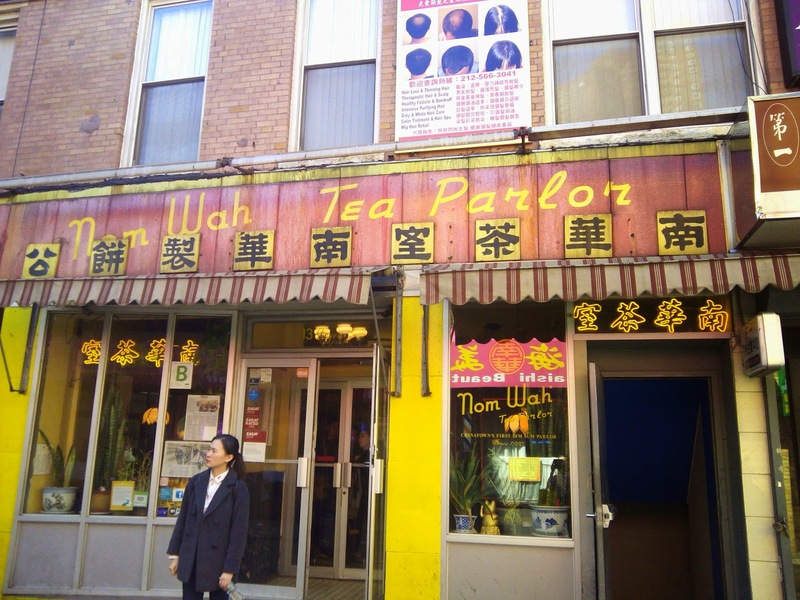 Chinatown was a brilliant trip, and I highly recommend the Now Wah Tea Parlour to anyone in NYC. By no means is this the end of my Big Apple bites, so keep reading for what’s yet to come – yogurt bars and a goat curry anyone?